Good early Hitchcock casts Marshall as actor who serves on jury at murder trial and believes accused woman innocent. 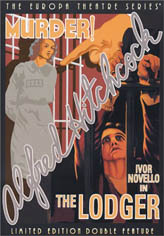 A German version called "Mary" was filmed at the same time using German actors, but the same sets. 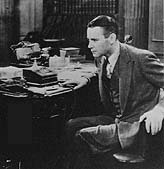 The scene where Herbert Marshall thinks out loud in front of a mirror had to be filmed with a recording of Marshall's lines and an orchestra hidden behind the set as it was not possible to dub the soundtrack later. Hitchcock makes his cameo appearance an hour into the movie walking past the house where the murder was committed.